Genie Happy Dance – Thanks Family History Magazine! Australia may have good telecommunications but I’ve been in one of those service-provider black holes for the last 36 hours or so. Not even my mobile phone would work but now I’m back online. Alleluia! Early Saturday morning, rushing around madly, I got a great surprise to see tweets from Rebelhand and DanceSkeletons revealing that this blog is listed in Family History Magazine’s article Around the World in 40 blogs It appears that it may have been my Beyond the Internet series that gave me the guernsey, and if so I’m delighted because regular readers know just how obsessive I can be about offline resources. I don’t need to tell you that the news had me doing the genealogy happy dance, but I was also astonished. 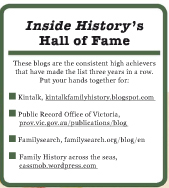 There are just so many great blogs out there, with other family historians documenting their family’s stories online or expanding local histories (you can read some of those I follow on my Blog Links page). I was very pleased to see that On a Flesh and Bone Foundation is listed because Jennifer writes such great stories and has excellent information for Irish researchers. Another of my favourites, Olive Tree Genealogy is also on the list. I’ve been following some of Lorine’s Sharing Memories prompts. I’ve also picked up some new ones for my Google Reader feed. 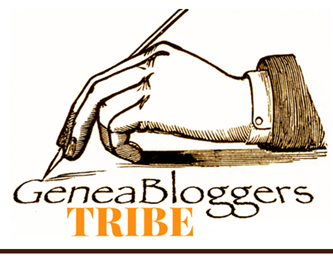 Genealogy blogging is such a wonderful community to be a part of and finding Geneabloggers and all my geneamates has been such an important discovery for me over the past 18 months. 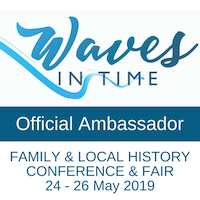 Thanks Family History Magazine for this privilege and my two geneamates for letting me know! In the midst of family commitments at present it could have so easily passed me by for a time. Why not check out the blog list and see if your favourites are listed?